Gosport & Fareham Inshore Rescue Service vice chairman (strategic) Steve Ray has worked on the new lifeboat project for two years. Here he answers some questions about our new lifeboat. What is the new boat called? She’s 9m long, 3.15m wide and weighs around 4,800kg. What engines does the Gosport Lifeboat use? 2 x Yanmar 8LV, 4.42-litre turbo diesel V8s producing 320hp each. Driving 2 x Hamilton waterjets via an electrically controlled reversible gearbox. How much horsepower does it have? Top speed is approximately 43 knots – which is about 50mph. It will comfortably cruise at 35-40 knots with additional personnel and equipment. 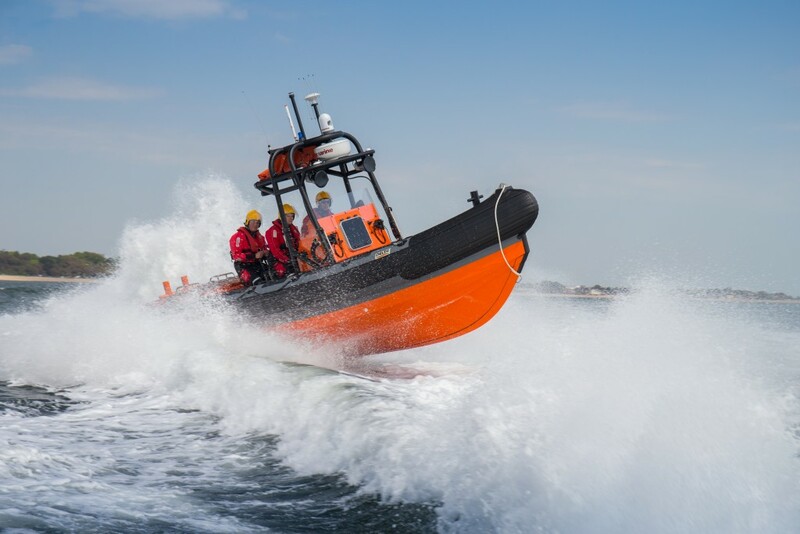 This makes it the fastest Lifeboat in the Solent – and quite possibly the fastest in the country. What sort of kit is on the boat? 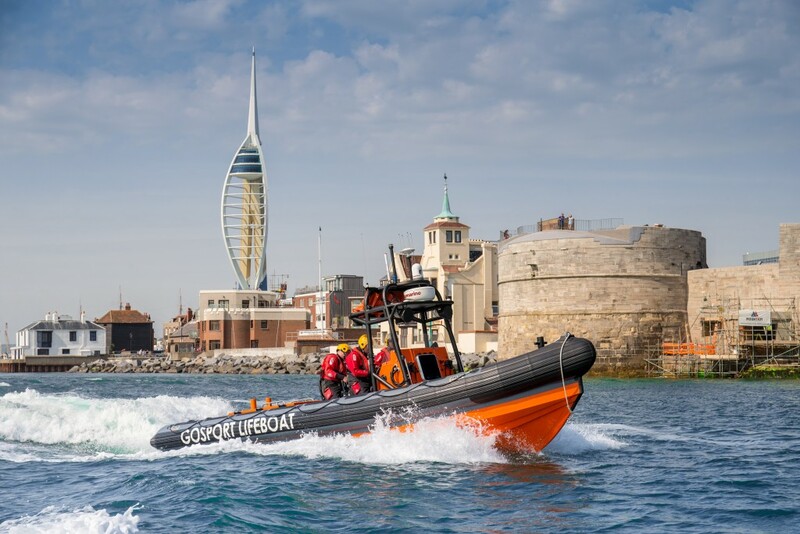 The Gosport Lifeboat has a variety of equipment to help rescue vessels and save lives. The kit includes advanced medical kit including an automatic external defibrillator (AED) and oxygen, search lights and thermal imaging cameras. There is also a VHF direction-finding equipment for homing in on a casualty vessel’s radio transmissions, a chart plotter, tow lines, radar and depth sounder. The Lifeboat also features VHF radios for communications with the Coastguard, Gosport Lifeboat Station and casualties. In addition there is a tool kit with damage control items to stop leaks. Is any other equipment used? Yes. Extra equipment can be taken depending on the rescue situation, including more advanced medical equipment (for paramedic use), stretchers, mud rescue equipment (including inflatable raft/sled) and a salvage pump for removing flood water. Why is the new boat so good? The boat was specified based on GAFIRS’ 40-plus years’ experience, as well as after lengthy discussions with other lifeboats organisations. Good features of previous boats were taken forward into this project, while other areas were improved upon. The hull form, combined with the four special shockwave seats – which soak up impact from waves, offer excellent crew protection, reducing fatigue and the risk of injury. The thermal imaging camera is a step change in capability and greatly improves the range at which the crew can spot a person in the water. Why did GAFIRS need a new boat? We were in the privileged position of having received a significant bequest that was ring-fenced for the purchase of a new lifeboat. While we could have deferred this for a number of years, our assessment was that the uplift in capability, crew protection and sustainability (more availability to Coastguard through better reliability and more readily available spares) offered by replacing our previous lifeboat justified the immediate acquisition of a new lifeboat. Why did GAFIRS pick this boat? Delta offered a good level of bespoke manufacture, on a well-proven and high-quality hull. It has vast experience of manufacturing jet-driven boats, is based in the UK and was keen to take the project on. Its proposal was competitively priced and, compared with proposals from other manufacturers, was the one that best met GAFIRS’ requirements. How long did it take to design and build? After approximately a six-month tender process, detailed design and build took one year in total. How important is it for GAFIRS to have a boat like this? Extremely important. 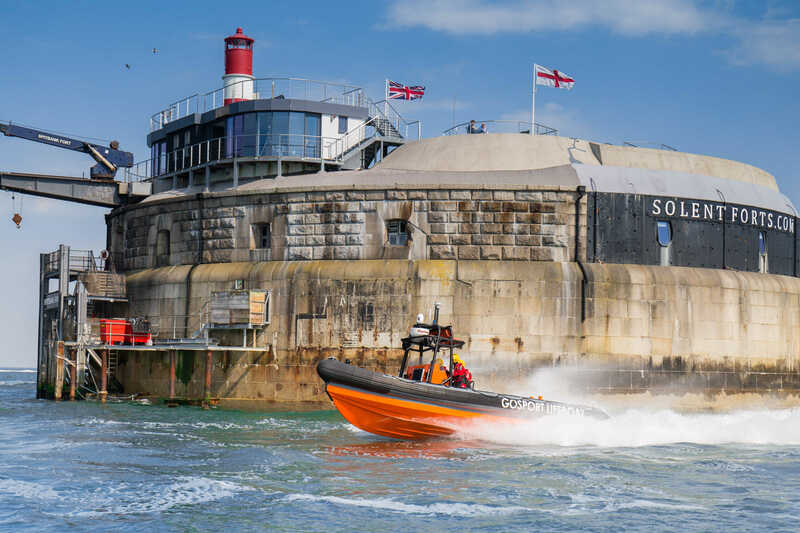 We are an inshore lifeboat, located in an area of strategic importance – with easy access to the eastern Solent and close proximity to Portsmouth Harbour. 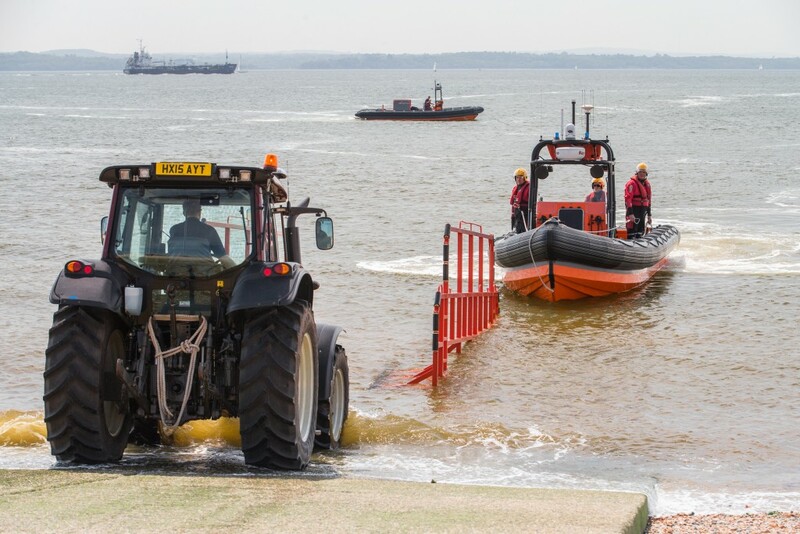 Increased crew protection is important, but being slipway-launched and on 24hr call-out, we were conscious not too exceed a maximum size and weight that would preclude low water launches or make manoeuvring on the slipway too difficult. We have operated jet-driven boats since the early 90s and believe these offer the best combination of flexibility, safety for swimmers and shallow water capability. Response time is essential for any lifeboat and this boat is not only the fastest in the Solent, but the folding mast and bespoke launch carriage have also been designed so that manoeuvring out of the boathouse and down the slipway will further improve our launch times compared with our previous craft.